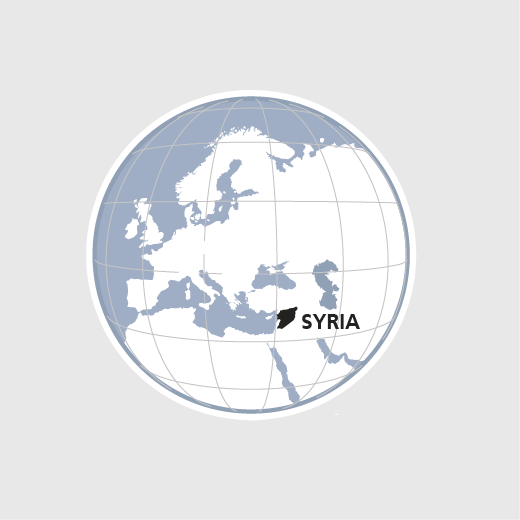 The Christian minority in Syria is crucially important to the peaceful coexistence of the various religious communities. HEKS/EPER therefore supports projects run by Protestant churches in the Fellowship of Middle East Churches (FMEEC). HEKS/EPER supports church life in the parishes, strengthens the churches' social responsibility for the entire population and promotes dialogue with other churches. HEKS/EPER supports 11 church parishes that run recreational programmes for 545 children and young people from various Christian churches and other children from the neighbourhood. The 54 volunteers tell the young people Bible stories, and offer handicraft activities and games to be played together. Church parishes organize holiday camps and other special events about three times per year. In 2017, some 25000 displaced people received food, mattresses, blankets and toiletries. 1500 children could attend school thanks to HEKS/EPER.